Here are 10 things you probably didn’t know about Asperger Syndrome. There is currently no known cause of Asperger Syndrome. Some researchers believe that the presence of Asperger’s is due to irregular behavior of embryonic cells while the fetus is developing. This irregular behavior causes changes to the brain structure during development and early childhood years. It’s also widely believed that Asperger’s is hereditary. In a study of identical twins, it was shown that when one twin was diagnosed with Asperger’s Syndrome, the other twin had a 30% chance of also being diagnosed. Because 30% is significantly higher than the normal incidence rate, the results strongly indicate that genes are directly correlated the development of Asperger’s. Technically, Asperger’s doesn’t exist–at least not by that name. In 2013, it was decided that Asperger’s Syndrome was no longer classified as an independent disorder. It is now a part of the Autism Spectrum Disorder (also known as ASD) as a mild form of Autism, sometimes referred to as “High Functioning Autism.” As a result of this change, people are no longer being diagnosed with Asperger’s Syndrome. 3) It Does Not Affect Intelligence. Asperger’s does not negatively affect a person’s intelligence like traditional Autism does. In fact, many people struggling with Asperger’s have above average IQs. It’s not uncommon for someone with Asperger’s to develop a preoccupation or obsession with certain subjects for months at a time. For example, one person with Asperger’s might know an impressive amount about cars, while another is especially informed about sea life or space. Treatments exist. 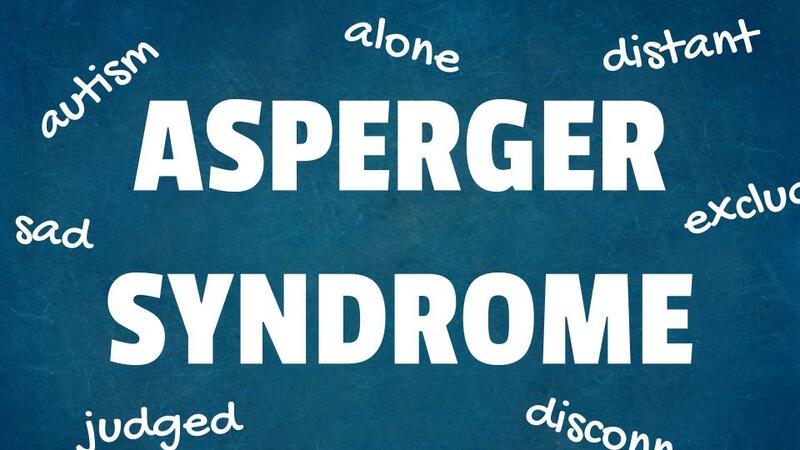 Although there is no cure for Asperger’s, there are several treatment options. Some drugs can prevent distracted behavior, some can help with mood swings, and others can help calm patients down. There is also behavioral counseling and interventions that can help improve the social struggles of Asperger’s. Asperger’s is sometimes referred to as a “Hidden Disability.” Because it doesn’t affect a person physically, until you talk to someone with Asperger’s, you likely won’t know that anything is different. You might not even notice a difference until you’ve known the person for longer, depending on the severity. Asperger’s Syndrome is less common than traditional Autism. About 1 in 100 people worldwide have Autism, but only 1 in 250 people have Asperger’s. However, it’s important to recognise that because Asperger’s symptoms are mild and generally easy to overlook, it’s possible that up to 50% of people with Asperger’s have not been diagnosed. Asperger’s is more commonly diagnosed in males than females. For every one female diagnosed with Asperger’s, 4 males are also diagnosed. Symptoms of Asperger’s start early. When you’re born, you either have Asperger’s, or you don’t. And unlike some conditions, symptoms start appearing right away. Common symptoms of Asperger’s in children are lack of eye contact, trouble communicating, or a lack of understanding of behavioral and social cues. There can be physical signs of Asperger’s. Although Asperger’s is a mental disorder, there are some physical signs. The most common sign of Asperger’s is a lack of eye contact, but it’s also common for people with Asperger’s to be less expressive with facial expressions or to appear uncoordinated. People with Asperger’s generally have a late diagnosis. Although most people have had symptoms since childhood, the majority of cases are diagnosed later in life. It might not be until an adult enters the workforce or a student attends college that the symptoms become recognisable.